You have to hire employees to take the vacant of those who left you or fill the need for more workforce for your growing business. You are looking to recruit a workforce that will contribute to the success of your organization while adding value to its culture. There are many talents to look for in your candidates. What are the most important values and how to hire the right people with the proper recruitment process? Employees can recruit employees in a short period, finding great new employees in a legally and ethically way. 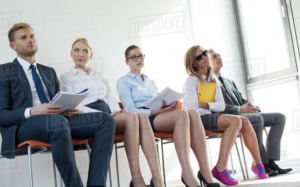 First, make sure that you need a new position if you are not filling a vacant position. Check the efficiency of your team and make sure that they do the best and need help. The new employee should fit in your business plan. Ask your team about the need for the new force. The second step of the hiring process is the review and plan your new workforce recruitment planning have the job description and the traits, skills, and experience required for the candidates to fill the position. Who is going to participate in the interviews with the applicants? It is logic to start looking for the candidates at home. Let your workforce know that you are looking for someone to take the vacant position. If you have no one to fit the job or you need to have more workers, you will have to post the position externally. 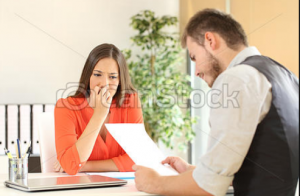 Filling the position by someone from outside depends on the type of job you need, for a non-exempt employee you better post in the local newspaper classified will be good enough. More than likely you will need online posting on your website and the job boards and social media, your Linkedin can bring you quality applicants. Ask your employees to post the job opening in their social media. 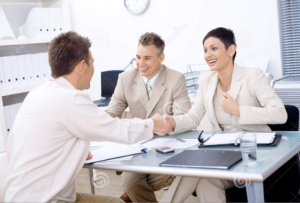 Your adds worked well, and you have a large pool of applicants. HR can work with the resume and review the cover letters. And deliver the list of qualified applicants to your hiring manager who can ask to check all the applicants, it may be when the job is technical, engineering, scientific or any developing project. The most qualified candidates will have a telephonic interview for preliminary selection to eliminate part of the applicants before spending the time of those who clearly cannot be elected. During the phone call, it will be possible to see if the cultural fit and the job fit are positive or there is an unfitting situation one of the two. The phone interview will know the individual’s experience or credentials. After the phone and the review in person you can have a smaller group of the best candidates you have to coordinate the interview with the whole hiring team, this will build a common idea about the candidates. Make sure to check all the formal documentation concerning the employment application and the permission to check with the references and background. You have to let know the bad news to those applicants you are not considering as future workers and tell them why. Plan your last move on selection a new member of your workforce. Put the date for second interview making sure that you will have already checked the reference and background of your choice of candidates. Start to confirm references and background of your selected group of candidates before and after your second interview. Make sure you checked all the information claimed by the candidates, history and criminal record. Communicate with the applicant past managers. 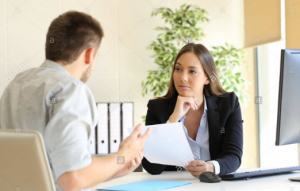 Past managers will be careful about sharing information, it will be limited to job title, and dates, salary will be a little difficult to get from the former employers. Social media will be a useful resource of information about the candidates. Once you have chosen your preferred candidate for the open job, it is the time to determine the compensation you will offer to the selected candidate. Now you have you elected new employee, go to the more formal part of the process, write the job offer with the detailed working condition, job description, and compensation. It is the moment to tell the other candidates that you have not accepted the job, and it is essential to your image as an employer of choice. In the case of a higher level candidate, he or she will negotiate compensation, paid time off, assuring severance pay if the realizations failed to work out, maybe a corporate car and more. Welcoming your new acquisition in the best way possible, it took you some work to have him or here onboard. You must accommodate the on-boarding process to give the new employee the best conditions for his or her success starting and future staying for a long time with your organization. Assign a mentor, tell the colleagues that there is a new colleague to help incorporate in the team. Put your best on-boarding process in action. Write a welcome letter and make sure that your new employee will feel warmly welcomed by all the close co-workers. The special care in the first days will ensure the germination of a new colleague.